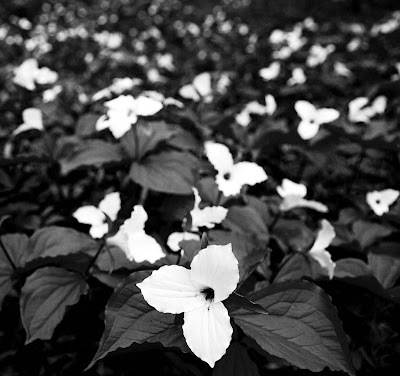 Well, the trillium 'season' comes to an end. The flowers are rapidly fading away until next year. In many ways, their short lived nature adds to what makes them so special. It is truly an amazing experience to be out in the forest alone, surrounded by hundreds of these beautiful plants. 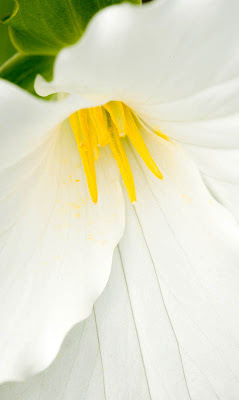 Below is a shot of the elusive yellow trillium. The yellow trillium here in Pennsylvania seem very different than the images I get when I Google 'Yellow Trillium', and yet this is definitely trillium (to the best of my knowledge). They have a yellow tint, the park ranger said there were yellow trillium at that site, and, other than for the center, these looked just like the white trillium plants and, in fact, were growing amongst them. 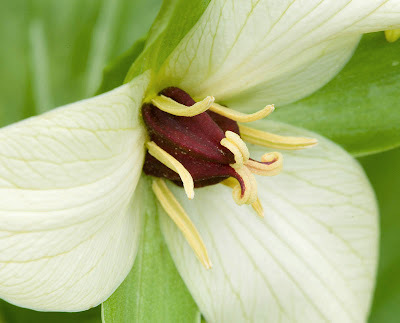 Finally, I return to the image that I had 'in my head' and mentioned in my first trillium post. The concept was of a 'sea of white', and I think I have gotten close this time. The question is, can an image of hundreds of flowers work when only one of the flowers is in focus?